Disclaimer: Everything I write about will solely be based on this book. Do not take any of this information as facts, but merely as a perspective. It’s a very humbling book. Personally, I felt that Liz (the author) poured her soul out into this memoir, with her mid-life crisis peak as her starting point. As a young woman myself – who’s still uncertain about everything in her life – this book was soothing to read. Liz’s approach to find the definition of happiness, at the age of 32, made it seem as if there was nothing that could go her way. She was becoming a successful writer, had a good husband, and was gradually settling in. I guess that’s the feeling that scares us the most, because we then ask ourselves: is this what we really want? All this tension kind of collapses all at once. Liz starts having recurring anxiety and depression attacks due to her unstable emotional life, and basically shuts herself down. She gets divorced, finds a new lover, and plans to drop everything and travel the world. But everything was anything but planned. As spontaneous and adventurous as she was, she decides to start everything anew, to find herself. Thus, she embarks on a journey that takes place in three countries, each to enable Liz to pursue a distinct approach to life. Having lived the American lifestyle her whole life, she finds it… uncertain to adjust to the new ‘happy go lucky’ life in Italy. Its culture is based on finding the pure pleasure out of life; for Liz, it’s learning the beauty of Italian via meeting and conversing with her young Italian friends, and eating all the pasta and pizza that Italy has to offer. Eventually, after a few months, Liz does find her bliss here, enabling her to slowly (but not completely, yet) let go of her heartache back home. Her second trip is – again – a complete culture shock. 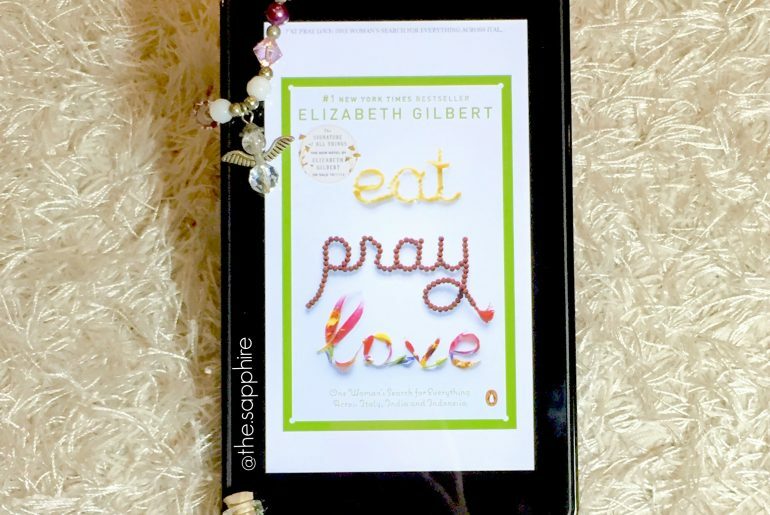 Liz goes to live in a sacred ashram, where she learns to pray and meditate daily. This where she starts to accept her fate, which enables her to continue pursuing her life. This last trip is where she connects everything she has learned in her last two trips and finally emerges as the person she has desired to become. She becomes closely connected with the Bali healers – Ketut, an old healer-friend she met a few years ago, Wayan – who becomes Liz’s best friend but also teaches the not-so-good mentality of the Balinese mentality to survive, and *surprise! * she meets her future husband, Felipe. Though they believed it would be just a fling, at the end they decide that they love each other too much to let go. Plus, they have both been divorced, and their personalities are very complementary to each other. With Liz’s first husband, she felt kind of restrained and trapped, but with Felipe – who just wants to enjoy life and devote his love to Liz – that pressure is gone. Thus, despite the difference in age (Felipe is 52, and Liz is 35 by now) and cultures (Felipe is Brazilian, and has family in different parts of the world), they make it work. Or agree to do so. Positive comments: Though the whole journey is very influenced by Westernized thought (obviously), the fact that Liz never really fails to inform us the events the way they unravel makes it a pleasing read. 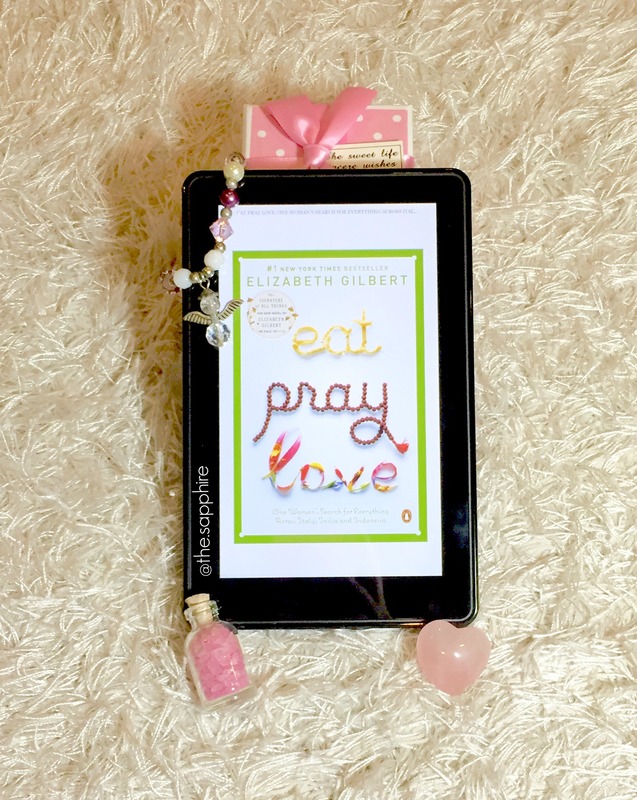 Though the book may be too sentimental/emotional for some people, Liz exposed her naked self – which I believe is the strongest way to connect with the reader. Regardless of how old or how ‘settled’ one’s life is, Liz proved that anything in one’s life could change when you least expect it to, and it may lead to the best possible outcome at the end. Negative comments: I was hoping that it would be more realistic. I mean, it was truthful and genuine enough, but at times it felt like the author was just gluing pieces of her life together, pieces that she thought was what we wanted to hear. Though that was necessary (or else the book would be twice as long), it made the book feel clustered at times, instead of just letting it blend smoothly. Who would I recommend it to? Anyone feeling lost, stuck or hopeless about their own lives. Or really, just anyone interested in a woman’s long (and shaky) journey to finding eternal bliss. It’s a good ego-comforting book.